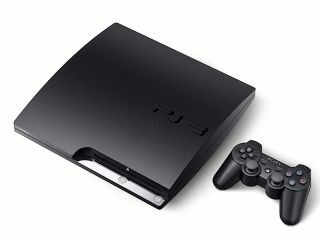 The vice president of EA , John Schappert, has been speaking about Sony's Playstation 3, explaining that the console is doing brilliantly at the moment and it is all to do with the Slim version being released. Speaking to IGN about the PS3, Schappert said: "We're platform agnostic. We sell more software on both the PlayStation 3 and Xbox 360 than anybody. "I wouldn't read too much into what we're showing the demos on, but I will tell you, in the marketplace, the PlayStation 3 is doing incredibly well." If that wasn't enough for PS3 fanboys to get in a tiz – and for Xbox 360 owners to go on the offensive – Schappert also noted: "Since Sony changed the PS3 form factor, rolled out the Kevin Butler marketing campaign, and launched some great content, the box is on fire. "Now the problem is you haven't been able to find it at retail, it's been out of stock. But I think they'll fix that soon. "We have high hopes on the PlayStation 3 this year. Again, we like them all, but PlayStation 3 is doing [sic] very strong right now." One of the reasons for being impressed is because of the PS3's Blu-ray functionality, with Schappert explaining: "We were able to make use of the Blu-ray disc with the larger storage space and add additional content on[to] discs without sacrificing anything from the core game." This can be seen with the upcoming release of Dead Space 2, which will come with Dead Space: Extraction - a game which supports the PlayStation Move.